At last! 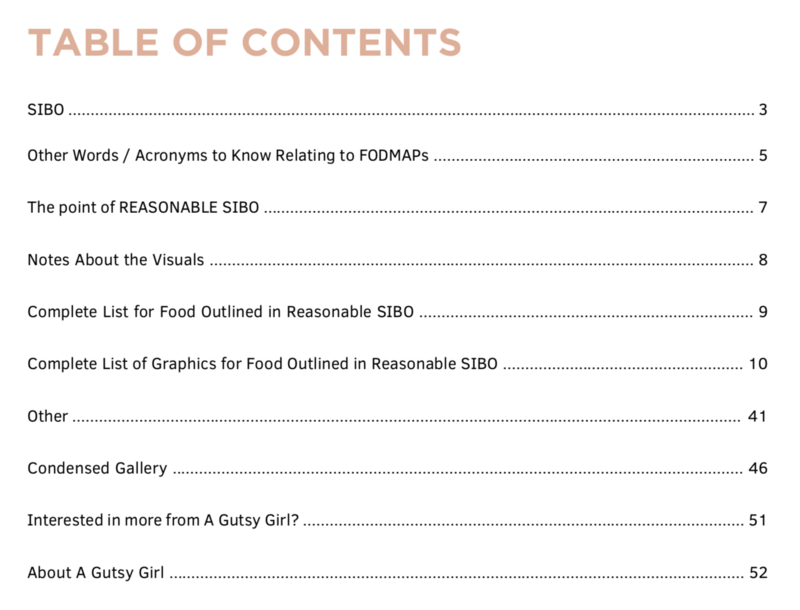 The Reasonable SIBO e-book is here and ready for immediate download. I know that some of you don’t want to wait another second, so go ahead, grab your copy HERE now. Click HERE to save this for later. Why Did I Create this E-Book? The answer is very simple; I want you to eat more, not less. 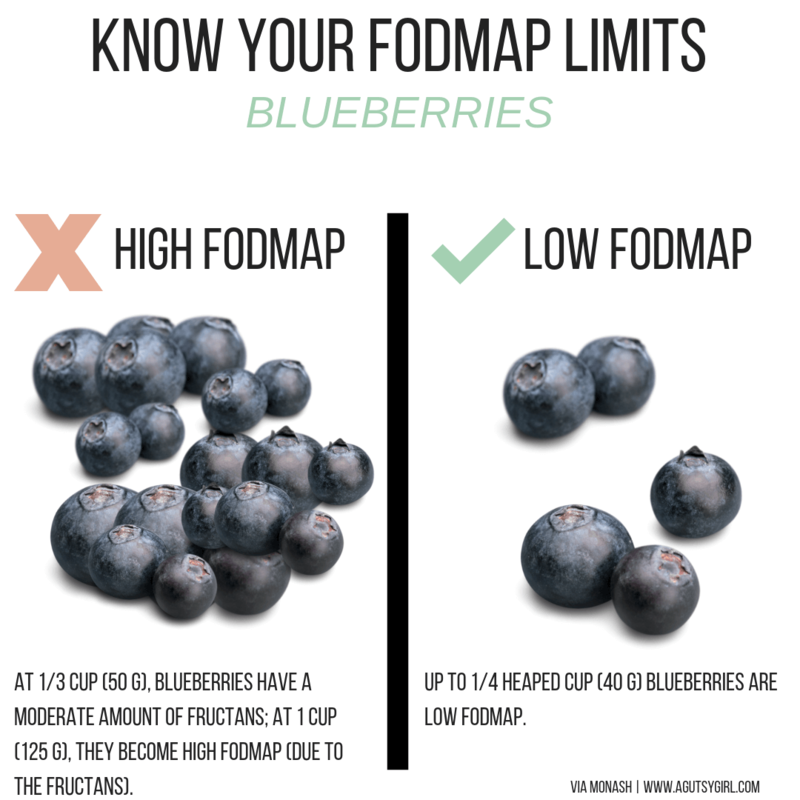 Too often, people (I was there at one point, too) find out they have SIBO and that they must follow a Low FODMAP diet, but instead of understanding what they can eat, become focused on everything they can no longer eat. This isn’t your fault, though. I don’t know about you, but I’d much rather eat a heaping 1/4 cup of blueberries than none at all because I love me some blueberries! The FODMAP portions are all taken directly from the Monash App, which I recommend people always download, too. What I did in this e-book, though, was transformed written text into easy-to-read graphics. This e-book is for those of you who are visual, as I am. In the Monash App, you see a lighting system which lets you know if a food is low or high FODMAP. But just because you see a red light, doesn’t (necessarily) mean you can never eat that food in any quantity. That is exactly what I did with my visuals. 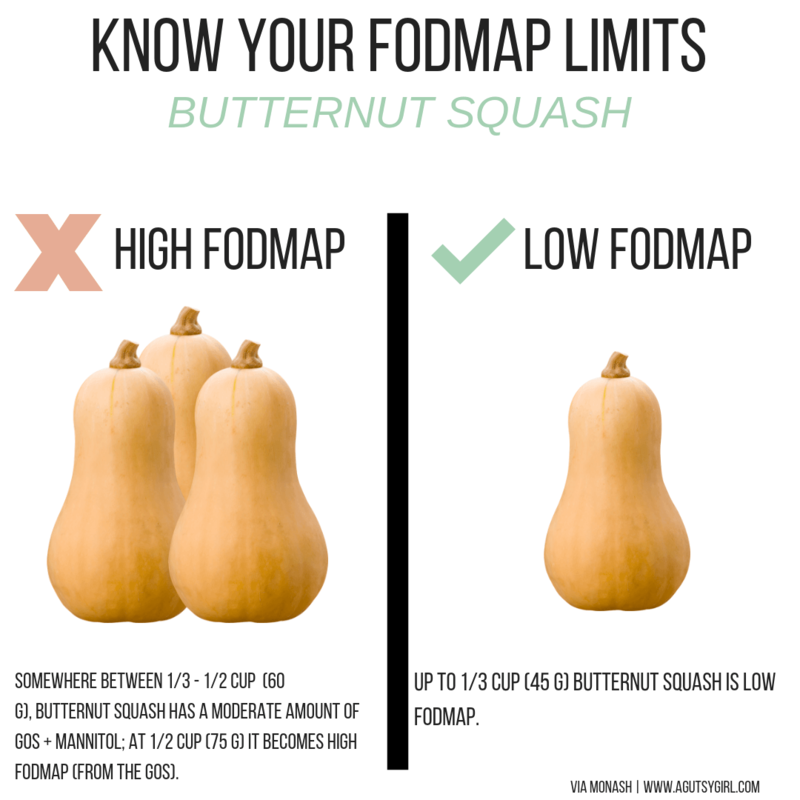 I share whether or not a food is low or high FODMAP, and along with it how much you can or can’t eat in cups and ounces, grams and mL. Note: I did a condensed gallery of the images so you could have them close together for grocery shopping. How Much Did I Charge? I recently asked via my Instagram Stories how much people would be willing to pay for 120+ graphics. The answers ranged from $10 – $35 (also, “I’ll pay anything”). So I decided to meet at a very happy medium, keeping it at the exact same price as The Gutsy Girl’s Bible, $13.99. These e-books take a lot of time for me to produce and then I have to pay people to help me create, design, and launch it. $13.99 is a steal. I am confident that the value I provide, for free, consistently day-in and day-out alone warrants some charge for these e-books. Additionally, these are highly valuable for those who need the very specific and unique information. Also, $13.99 is 3 high-quality lattes – you know?! I don’t want to wait anymore than 3 minutes for an e-book; you don’t either. Amiright?! 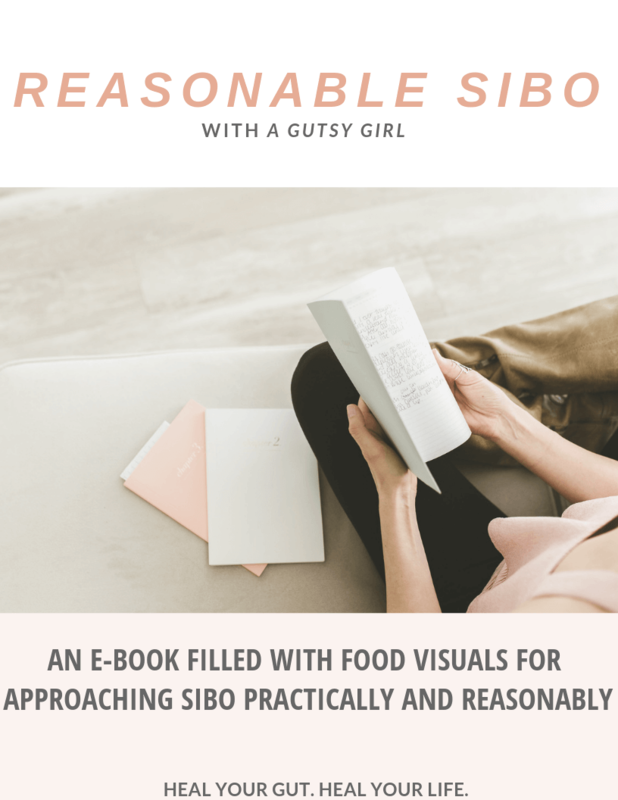 Good news – when you order Reasonable SIBO, you’ll get your e-book immediately. Below it, under “download,” click the green box and the PDF will automatically download for you. Alternatively, you will receive an email with the download in there as well. Ready to grab your copy? Click HERE to get it now. I bought and downloaded book but not sure where it is located? Hi! I sent it directly to you. Please confirm receipt. Hi, i just bought it but did not receive the link to the ebook. Thank u! Hi Judy! Please email me and I’ll send it directly to you. sarahkay at agutsygirl.com Thanks!